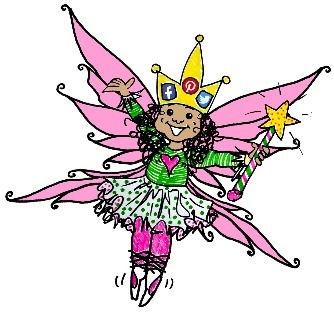 Share Fairy: "She knows when you've been sharing..."
When you share about Not Who I Imagined on social media--reposting a meme or video or post--tagging @MargotStarbuck in MARCH, you're automatically entered to win $150 Amazon Gift Certificate! The ShareFairy magically knows when you share from Margot's accounts, at RIGHT. You'll be contacted through social media through which you shared! Click icons, below, for stuff to share!